In addition to being a “happy” leader in the Shelton High School SADD Club, she is a co-junior high school representative and will be a sophomore next year. She is on the varsity cheer-leading team and is on a select regional cheer-leading team that has won many national honors. In addition to being a “happy” leader in the Shelton High School SADD Club, he is the club historian and will be a senior next year. He is on the varsity football team and wants to be a law enforcement agent. Shelley is a trauma nurse at Legacy Emanuel Medical Center, Portland, Oregon. She will present on behalf of the Trauma Nurses Talk Tough program. Trauma Nurses Talk Tough (TNTT) was developed in 1986 by three trauma nurses who wanted to put an end to the carnage they saw every day as a result of unnecessary injuries and deaths. Today, the wide-reaching impact of these programs has helped save countless lives through community education and advocacy. John Clark is a WTSEA board member, representing public schools in the Yakima Valley. He has been teaching TSE for 18 years. Part of that time he taught both classroom and BTW at a commercial school. For the past 10 years he has been doing BTW at Zillah High School. John is also a published author and poet, with 2 books on amazon. In addition to being a “happy” leader in the Shelton High School SADD Club, she is the president of the club and will be a junior next year. She is very involved in her church youth group and was named the “Prevention student of the year in the state of Washington” by our Lt. Governor. Mischelle is an outspoken community safety advocate; the current chair of the Washington State Advisory Board for Mothers Against Drunk Driving (MADD); and the Director of Operations & Client Communications at Davis Law Group in Seattle, WA. Her husband is Chris Davis, the nationally-known attorney and founder of Davis Law Group. Her primary focus is increasing awareness of public safety and legal issues through understandable, jargon-less language and modern communication/social media technologies. She is also a frequent speaker and consultant within the legal community attempting to revolutionize how law firms communicate with their clients—putting an end to ‘legal-speak’. I am currently in my thirty-seventh year teaching, coaching, and advising at North Central High School in Spokane, Washington. I received my degrees in Physical Education, Health Education, and Traffic Safety Education at the University of Idaho. I received my 5th year in Special Education from Eastern Washington University and added TSE course work from Central Washington University. I have taught Traffic Safety Education at North Central High School since 1993 till the program dissolved in 2003. Currently, I work part time for 9-1-1 Driving School in Spokane, Washington. I’ve had the honor and privilege to serve as your President of WTSEA back in the 90’s. I was very fortunate and humble to be picked for the Clifford Boyce Award along with receiving the National Teacher of the Year Award from the American Driver Traffic Safety Education Association (ADTSEA) in 2001. I am married to a wonderful lady (Mary Lou) for the past thirty-two years. Our son and daughter-in-law teacher/counselor work in the West Jordan School District in Salt Lake City. We just became grandparents for the first time to “Chloe Grace Filippini”. Lastly, I’m looking forward to learning the new trends of our profession and helping to serve a wonderful group of TSE Instructors here in Eastern Washington. As the Driver Education Manager at Manitoba Public Insurance for 16 years, he attended several conferences in the USA which included numerous workshops on best practices in driver training and education. He has presented at Driver Education conferences in Oregon, Washington, Montana, Minnesota, North Dakota, Missouri and Saskatchewan. 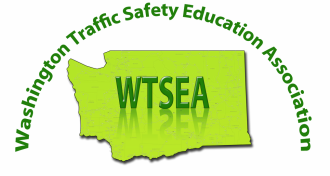 Alex Hansen has wide experience in the field of Traffic Safety Education in Washington State. He has taught traffic safety education for 30 years in both public schools and in commercial driver training schools. Alex worked as a Regional Traffic Safety Coordinator for the Office of the Superintendent of Public Instruction until the funding for the position was cut in 2002. He has been a trainer of trainers, teaching teachers how to become driver education teachers in the public and the private school arena. Since 2008, he has been an adjunct professor at Central Washington University, teaching the courses required in Washington for a certified teacher to receive and endorsement to teach TSE in the public schools. Alex has served on the Board of Directors of the Washington Traffic Safety Education Association almost without break since 1988. He has served as the WTSEA president, and is the current president-elect. He is also the legislative liaison for WTSEA, responsible for informing the members about proposed legislation and rules pertaining to TSE, and testifying for WTSEA at public hearings. In addition to being a “happy” leader in the Shelton High School SADD Club, she is the club’s vice-president and will be a junior next year. She plays golf and is a very good student. In addition to being a “happy” leader in the Shelton High School SADD Club she is the co-junior high school representative and will be a sophomore next year. She is a 4.0 student and is our technology guru. She is also in the high school choir. Sergeant Wright was hired in May of 1991 by the Washington State Patrol as a Commercial Vehicle Enforcement Officer assigned to Kittitas County. Sergeant Wright attended the 85th Trooper Basic Academy and graduated in 2000 as a Trooper assigned to the Commercial Vehicle Division in Kittitas County. In 2012 Darren Wright accepted the position of District Recruiter and Public Information Officer. Sergeant Wright was promoted to Sergeant in March 2016 assigned to Chehalis, where he serves as a detachment supervisor. Sergeant Wright has been named Trooper of the Year for his district. He recently received the WSP’s “Life Saving Award” after performing successful CPR on a citizen that was suffering a severe medical emergency. Sergeant Wright has received numerous other commendations, awards and Chief’s Coins for his work with the WSP.